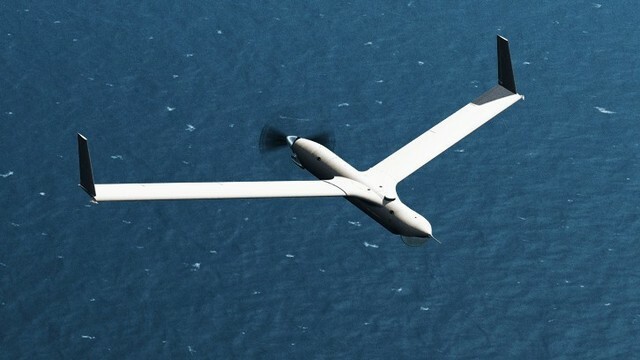 A senior Iranian commander says Iran gave Russia one of its indigenous ScanEagle unmanned aerial vehicles as a sign of friendship and cooperation between the two countries. Commander of the Aerospace Division of the Islamic Revolution Guards Corps (IRGC) Brigadier General Amirali Hajizadeh presented the drone to the visiting Russian Air Force Commander-in-Chief, Lieutenant General Viktor Nikolaevich Bondarev, on Monday. “The ScanEagle drone produced by the Islamic Revolution Guards Corps is the symbol of some of Iran’s technical capabilities,” Hajizadeh said. On December 17, 2012, the IRGC Navy Commander Rear Admiral Ali Fadavi said Iran had launched the production line of ScanEagle drones and that the IRGC Naval and Aerospace Division had been employing the UAVs. In February 2013, Iran for the first time released images of the production line of a UAV which is a copy of the US ScanEagle drone. The images were publicized after Iran released decoded video recordings obtained from a US RQ-170 Sentinel stealth drone downed and captured by the Islamic Republic on December 4, 2011. The US RQ-170 Sentinel stealth aircraft was downed by the Iranian Army’s electronic warfare unit while flying over the Iranian city of Kashmar, some 140 miles (225 km) from the Afghan border. The senior Russian commander hailed the capabilities of the IRGC and said it had succeeded in making great achievements. Bondarev arrived in Iran on Sunday for a four-day visit at the invitation of Brigadier General Hassan Shah-Safi, the commander of the Islamic Republic of Iran Air Force (IRIAF). The Russian commander is to hold talks with senior Iranian military officials. In January, Iran and Russia signed a memorandum of understanding to increase security cooperation between the two countries when Russian Interior Minister Vladimir Alexandrovich Kolokoltsev visited the Islamic Republic.